Mom and I ate lunch at True Food Kitchen yesterday afternoon after our sunrise hike up Camelback Mountain. I got my usual Mediterranean chopped salad, and my mom got the kale salad. Their salads are deee-licious. 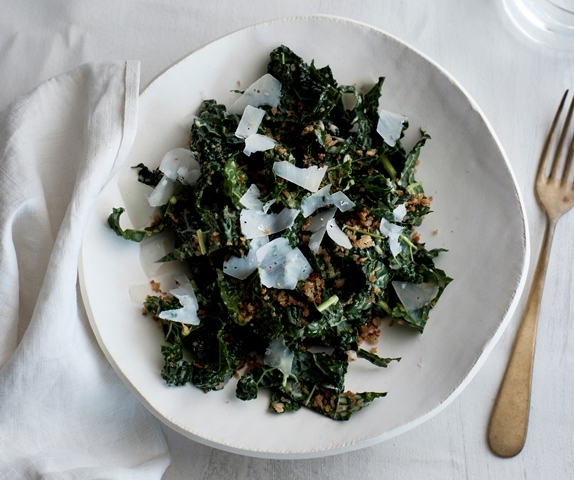 Mom makes a pretty bomb kale salad, but she's always looking to improve it. She found the recipe for their kale salad here and is pretty excited to try it out, along with me.